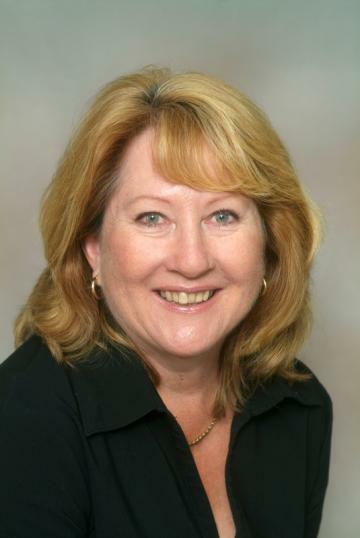 Jan Jones started her sales career in 2001 with Harcourts Redcliffe. Excelling in delivering outstanding results in a happy stress free manner Jan was soon leading salesperson for the Group in Queensland. Two years later Jan moved to Raine & Horne Redcliffe and within a short time was honoured with the title of number 2 salesperson Queensland continuing to sell up to 25 properties per month. With such a strong pedigree and so many loyal customers it was only a matter of time before Jan was in a position to open her own office. In 2006 Jan Jones Real Estate was born. The same ethics and customer dedication that took Jan to the heights she enjoyed have been instilled in her sales team. Jan still has the passion to deliver for her clients. Jan is always available to discuss your real estate needs and wants. The business has grown to include their daughter Rachele and three other staff members. The team has a great rapport with their clients and work together to achieve the best result. Jan's approach to selling is to treat her sellers and buyers as she would want to be treated - with honesty, integrity and open communication. It is important to her that a high level of professionalism is maintained while making the selling and purchasing process as stress free as possible for all involved. Jan's love of the Redcliffe Peninsula, where her three children have grown up, inspires her to bring more buyers to the area and her passion to have happy sellers has resulted in a very successful agency. Her passion is to see people have a go - test their skills, see what they can achieve and live life to the full. She loves to see young people buying their first home and being a part of their future dreams. Jan also enjoys helping young sports people and has sponsored many local children in their endeavours. Local charities such as school fetes and Movember have also been a delight to be involved in. LOOKING FOR A SMALL PROJECT - 599sqm BLOCK AND SHED!! The big ticket items have all been done. The original owners are ready to move on and whilst the home is in excellent living order, floors could be polished, and new paint inside would turn this into an excellent investment proposition or a lovely family home. This lowset brick and tile home is located within walking distance to schools, shops, parks and public transport The home sits on a very private battleax block with open space to the rear of the property. There is plenty of space for a boat or caravan and the block is well fenced. This lowset stand alone villa is the perfect downsizer offering low maintenance living, a spacious floor plan and a secure complex. Alternatively this is the ideal investment property with an onsite manager and good returns. Located at the southern end of Deception Bay the home is a short walk to the water front and the coastal walkways and parkland. Bus transport is close by and the Rothwell train station is a 5 minute drive away. This beautifully presented home has lots to offer the buyer looking for a home that has been well kept and is low maintenance. The home is packed with features and is located in a growth area close to the Kippa-Ring train station, bus transport, primary schools, private colleges and shopping centres. This is a quiet family area with similar style of homes on large blocks creating a lovely area to live in. This large lowset brick and tile home is just waiting for a family to move in and enjoy all it has to offer. The home is beautifully presented, spacious throughout and located in walking distance to public transport, primary and secondary schools. Have you been searching for a home to fit your large family, a home to cater for the extended family such as elderly parents or married children or a home to easily house your guests? Then this new build, high on the hill at Margate is worthy of your inspection. The local builder has incorporated a very thoughtful, modern design with some touches of times gone by with the use of recycled timber from the home which used to stand on this land. There are plenty of options with this home - land bank and collect the rent or demolish and build a brand spanking new home. Sitting high on the hill in Margate and enjoying water views and cooling breezes, the home is close to Margate Shopping Centre, bus transport, schools and the beach. The "Crest" North Lakes is a pet friendly, gated complex for the security minded family. The Lakes College, Good Start Early Learning child care centre and a lovely playground are at the front gate. The North Lakes State College and Senior campus are within easy distance so the complex well and truly supports family living. Enjoy lovely walks around Lake Eden with the family, followed by coffee or breakfast at one of the many coffee shops on Memorial Drive. This ground floor unit is in a great location with an easy walking distance to shops, hospital, beach, cafes & restaurants, doctor"s surgery and bus transport. EX DISPLAY HOME IN AS NEW CONDITION!!!! Stunning presentation and excellent functionality - this ex display home has all the whistles and bells and a design that works toward easy living for the busy family. As you would expect the double door entry opens to a formal entry........upon entry you will be amazed with the light and airy spaces, functional family areas and a floor plan that makes this a very easy to live in home. This highset home is positioned only a few streets from the water's edge - this is a fabulous location and sure to entice. If you are a little handy with tools, have a flair for design or are simply looking for an investment property then this is the home for you. Located in the urban neighbourhood precinct this zoning accommodates apartments, home based businesses and rooming accommodation. This neat and tidy townhouse is located in a well maintained complex of only eight units and provides a fantastic opportunity to invest in the market. The property is well placed to take advantage of the new infrastructure in the area with the Kallangur train station a 850m walk away and the new university at Petrie on the horizon. Development close by includes the huge Westfield shopping centre & cinemas at North Lakes, Ikea and Cosco a few minutes drive away, a multitude of restaurants, cafes and entertainment. Private and public schools are close by and local supermarkets abound. Easy access to the Bruce Highway for travel to the City and Sunshine Coast. This unit is a great alternative to a house - low maintenance, low body corporate and a spacious floor plan. Located in a quiet cul de sac with nature reserve at the end of the street the home is a short walk to shops and bus transport and close to train station, schools and medical facilities. his highset home was last on the market 26 years ago and has been a great family home for the current owners, but now it is time to downsize. Located in a quiet street close to schools, shops, bus and train transport and access to the Hornibrook Highway for city commuters. This neat and comfortable lowset brick and tile home will not disappoint the most fastidious of buyers. Situated on an elevated 637m2 block in a quiet location the home will suit those buyers wanting something special for their family, tradesman needing space & security for tools and equipment or adventure seekers with a caravan, boat or camper trailer. This lowset unit is perfectly positioned at the rear of this complex of eight assuring maximum privacy and no passing foot traffic. Located within an easy walking distance of the Kippa-Ring shopping centre, bus transport, medical facilities and the Kippa-Ring train station - 400 metres to all amenities so no car required. If you are looking for a comfortable, low maintenance home in a quiet location then this tidy unit in a small complex of four should be at the top of your list. Located just east of Oxley Avenue and tucked away at the rear of a gated complex this property is affordable for buyers entering or downsizing in the market. Queens Beach is a short stroll away as is the local shopping centre with doctor's surgery, chemist, post office, good old fashioned butcher shop, grocery store, newsagent, hairdresser and vet surgery. The Redcliffe CBD is a ten minute walk and the shoreline provides kilometres of walking/ bike path.